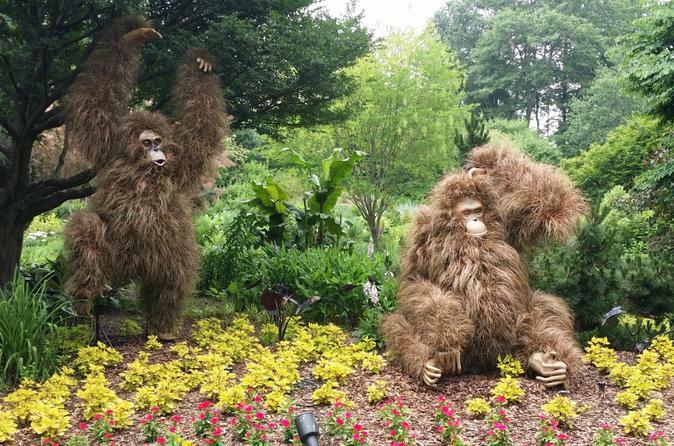 The Atlanta Botanical Gardens feature 30 acres of botanical gardens, located adjacent to Piedmont Park. Enjoy roundtrip transportation on a small group tour from downtown Atlanta as well as a beautiful picnic lunch in the park! This family-friendly, 4-hour tour begins with hotel pickup and transportation to the Atlanta Botanical Gardens. Composed of a number of smaller themed gardens, each contains different landscapes to display a variety of plant species. You'll begin at the entrance of the Gardens and then work your way through the Children Garden, the Gardens in Storza Woods, Trustees Garden, Southern Seasons Garden, Japanese Garden, Rose Garden, Rock Garden, Skyline Gardens, the Greenhouse, Edible Garden, and the Great Lawn. Be prepared to be amazed by the art and hidden sculptures in the gardens. Hunt for them all and explore the various water features throughout. Enjoy a delicious picnic lunch and relish your time with hundreds of thousands of tulips, daffodils, and crocus. An afternoon at the botanical gardens is an afternoon well spent.